The much-loved children's classic by Kenneth Graeme has been transformed into a fabulous interactive fun play with lots of pantomime moments for young and old to enjoy. 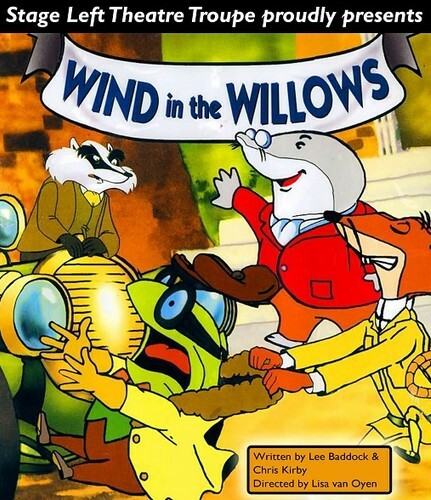 Written by Lee Baddock and Chris Kirby, directed by Lisa van Oyen, Stage Left Theatre presents, Wind in the Willows over six performances - 3 matinees, and 3 evening shows. Come and join the adventures of the roguish charmer Toad of Toad Hall, along with the dapper Ratty, shy Mole and commanding Badger. Join in the fun when Chief Weasel and his gang plot and scheme.